This Installation was part of a soloshow „pure simulation“ It refers to traditional and historical Art techniques. 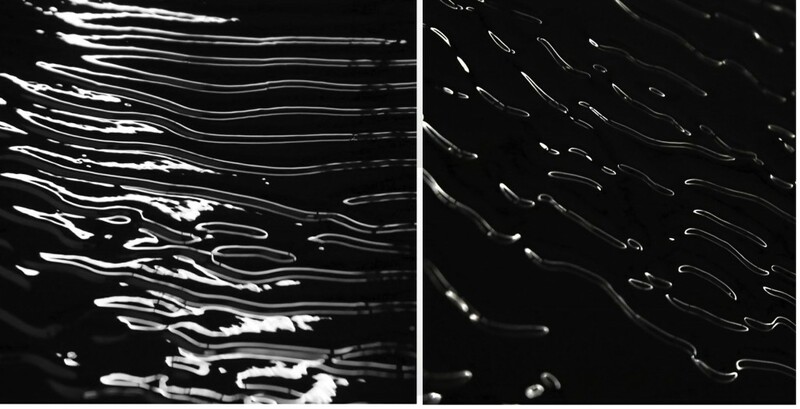 In this case it is made with several water pumps behind the canvas, which constantly pump black waste oil over the canvas, which ﬂew over the surface in waves. It is questioning our approach on natural ressources and the traditions and expectations towards art and exhibitions.